Q: Anyone have any luck with Apple Music + PI? Looking to set up a home music system with speakers connected to my PI where you can log in from your phone and stream apple music to it. Has anyone been successful with that? Ive seen it for spotify but not Apple music. The Raspberry Pi is a small and affordable computer that you can use to learn programming through fun, practical projects. The Raspberry Pi Foundation has an official general-use operating system, called Raspbian, that's optimized to work on the Pi. But the Raspberry Pi primarily runs Linux, so technically it can do anything any Linux computer can do, such as run email and Web servers, act as network storage, or operate as a VPN. The Raspberry Pi is an ideal candidate to serve you as digital hi-fi music player. Just install a simple music player on the Raspberry Pi and you can use it to play music. What's more, you can create a cheap standalone streaming music player for Spotify, Google Music, SoundCloud, Webradio, Podcasts and other music from the cloud with Pi MusicBox. However, there are exceptions. Like the problem mentioned at the beginning, you will find it is impossible to play Apple Music on Raspberry Pi. Generally speaking, you can only play Apple Music on iOS device, Android device, Apple TV, PC and Mac, Raspberry Pi is obviously not included. In addition, Apple Music is streamed at 256Kbps in AAC format with DRM protection, which prevents you streaming tracks from Apple Music to other common programs or devices. Don't worry, the Raspberry Pi is equipped with USB ports. So we can convert Apple Music songs to the common audio formats supported by USB and then plug it in your Raspberry Pi's USB port. 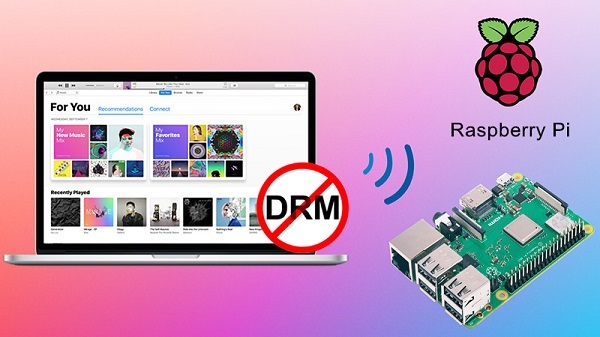 In this way, you can stream Apple Music to Raspberry Pi successfully. 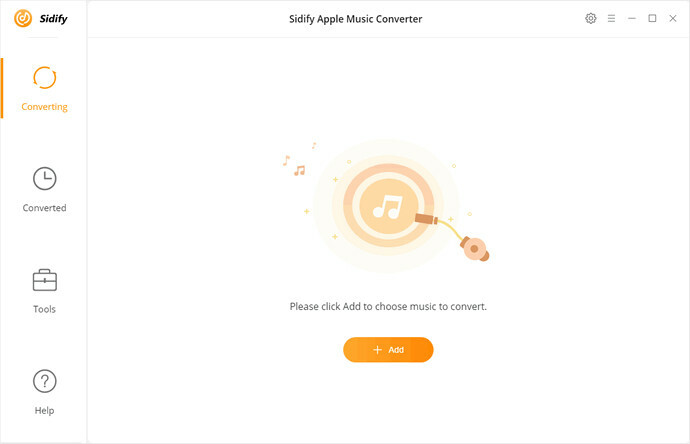 Sidify Apple Music Converter, one of the best Apple Music conversion tools, comes to help you. It can not only can help you to get rid of the DRM from Apple Music songs, but also can convert those protected Apple Music files to unprotected MP3 or other audio formats at fast conversion speed. Transfer Apple Music to Raspberry Pi, Google Home, Xbox One, PS4, iPod Touch, etc. 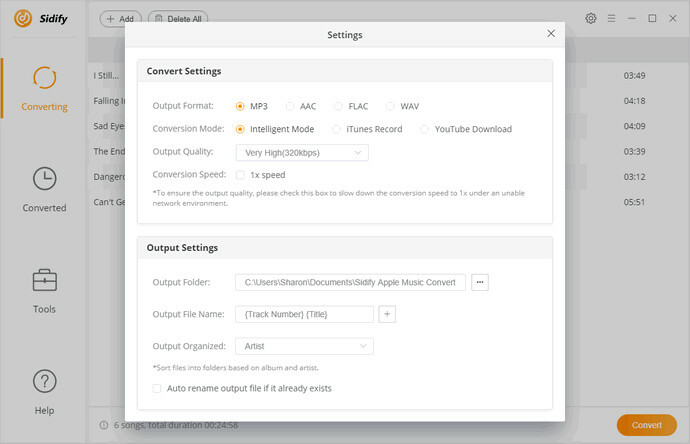 The followings tutorial will provide the specific details to explain how to transfer Apple Music songs to Raspberry Pi by using Sidify Apple Music Converter. First of all, please make sure you have already downloaded Apple Music songs on your iTunes. 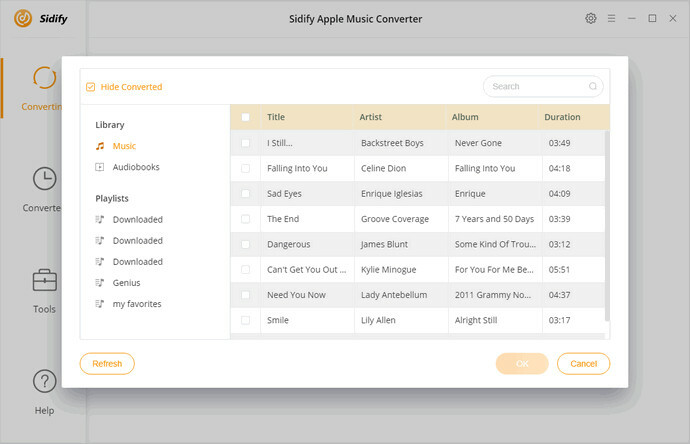 Download and install Sidify Apple Music Converter on your computer, then launch this application. Click + button at the upper-left of Sidify main screen, and then select the downloaded Apple Music songs you want to convert from the iTunes library pop-up window, then hit OK.
Click the setting gear icon at the upper-right corner, then the Settings box will pop up to let you choose the output format, output quality, and output path. Here you can choose MP3 or AAC as the output format for compatible with Raspberry Pi, and choose 320kbps as the output quality. 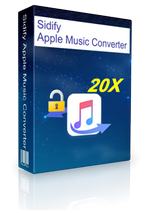 Click Convert to start the Apple Music conversion process. After the conversion completed, you can click on History icon to find the DRM-free Apple Music files from local drive. Insert a USB drive into the USB port on your computer. Click the Computer or My Computer utility and select the removable disk icon. Then you can drag and drop the converted Apple Music songs to the drive. Finally, eject the USB from computer and insert it to Raspberry Pi, then you can use the command line to start transferring music to Raspberry Pi. 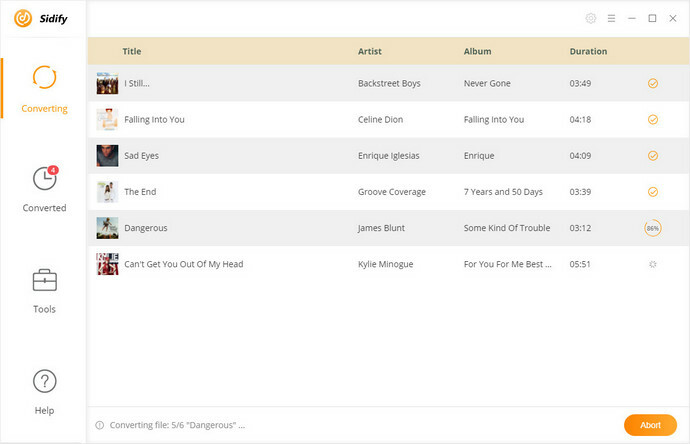 Now you can play Apple Music songs on Raspberry Pi with common music player.